Build a Long, Lush Lash with this Beeswax-based Booster/Primer! 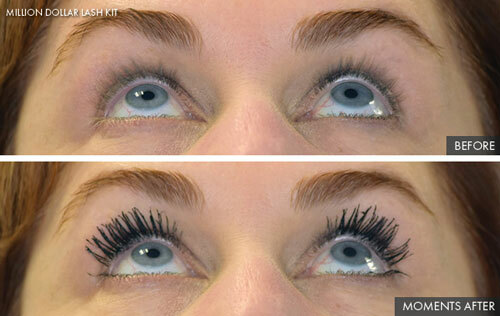 GENIE Million Dollar Lash Booster is the first step to build more beautiful eyelashes! 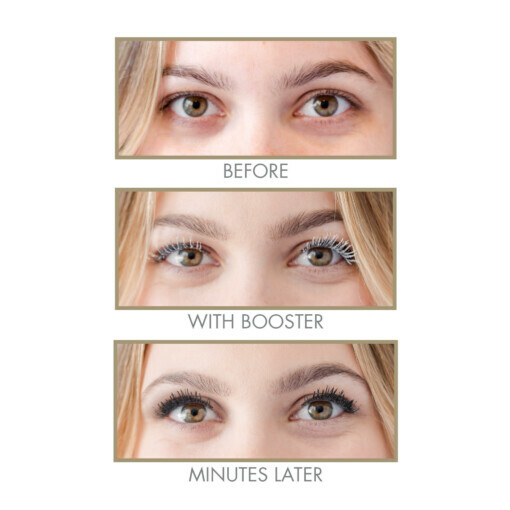 Prime, condition and hydrate to build better eyelashes with GENIE Million Dollar Lash Booster. This beeswax-based formula is rich, ultra-hydrating and is the first step to creating eyelashes that are thicker, longer and full of volume AND will never flake, smudge or become brittle. GENIE Million Dollar Lash Booster is compatible with your favorite mascara and is formulated to pair perfectly with GENIE Million Dollar Mascara. GENIE Million Dollar Lash Booster formulation does not include parabens, alcohol or fragrance. •Soft, velvet silica fibers are included in the rich formula to visually expand as well as lengthen your lashes. 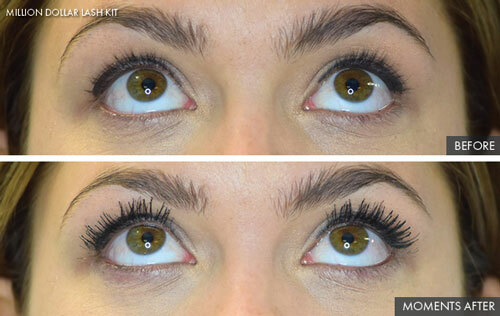 This formula helps you build the lashes you always wanted. 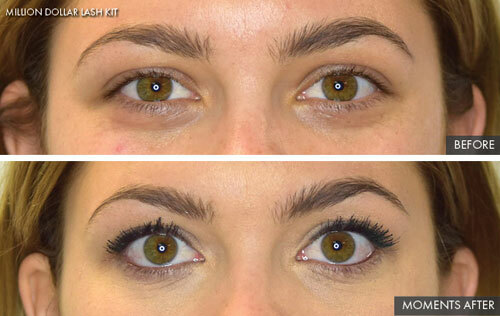 Add width and volume to your lashes as well as thicken lashes from the base all the way to the tips. 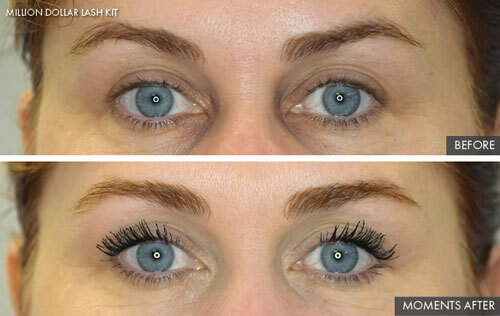 Your lashes will dramatically transform and resemble professional lash extensions. •This special blend of beeswax, carnauba wax and glycerin protect and treat your lashes all day long. 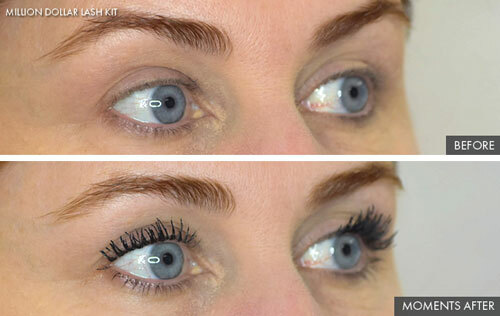 This rich, creamy, unique formula cling to eyelashes to look like lash extensions; helping your lashes to curl , look longer, lusher and instantly fuller. Does NOT CONTAIN ALCOHOL or other drying agents so you will not experience flaking or clumping. 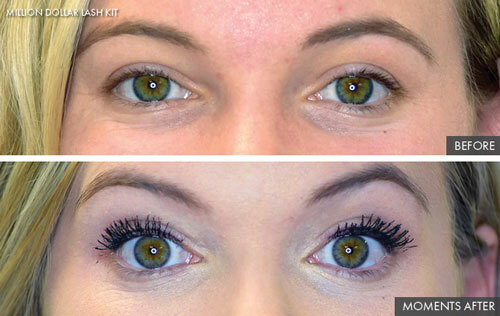 •Antioxidant Vitamins and botanicals nourish your lashes and protect them from breakage. •Unique molded, curved brush has diamond shaped bristles and is specifically designed to give your lashes ultimate curl, definition and lift. 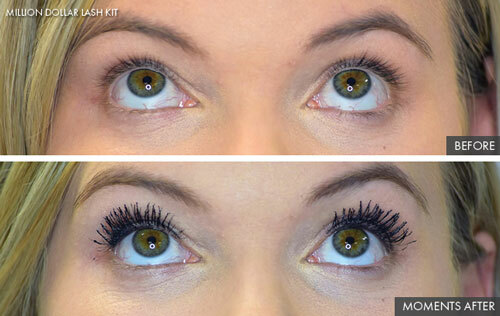 Adds volume by coating each individual lash, helps lashes appear plumped and instantly fuller. 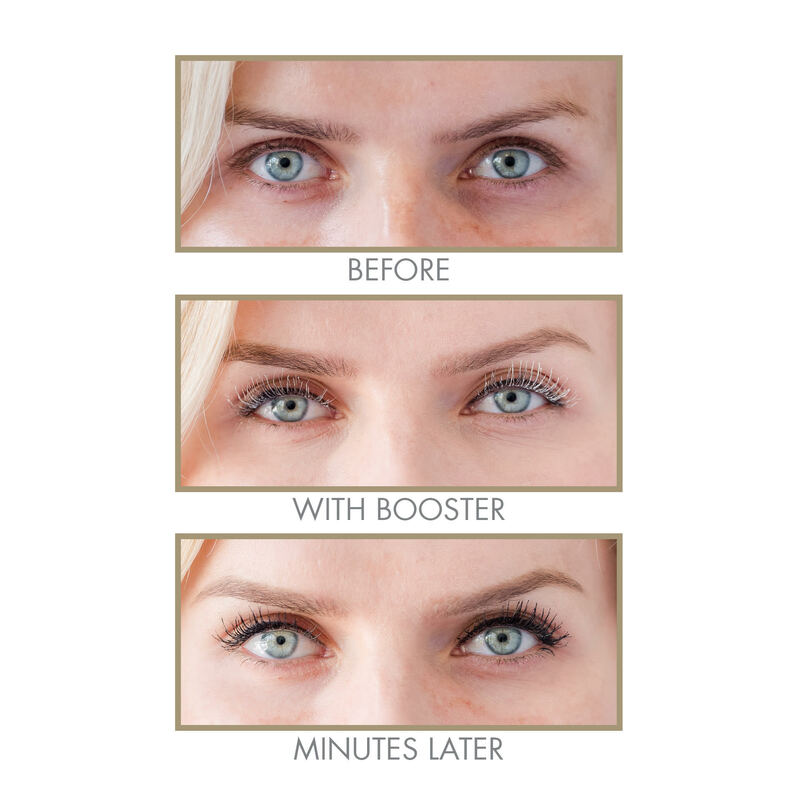 Love the booster to help my eyelashes appear fuller!